A putative class of indirect purchasers of steel, in a lawsuit against the steel manufacturers that allegedly conspired to artificially raise steel prices, failed to establish that the class had antitrust standing because their injuries were too remote from the alleged misconduct and their damages were too speculative, the federal district court in Chicago has ruled. The court determined that any higher prices that indirect purchasers may have had to pay were essentially impossible to pin on the manufacturers given that the stream of commerce involving steel production runs through so many hands, from the manufacturers to the distributors, fabricators, and others, and given that the finished products contained so many component parts that may also have affected the retail price. If the manufacturers conspired to raise prices illegally as alleged, the proper plaintiffs would have been those companies that purchased the steel directly from the manufacturers rather than the sellers of finished products containing steel (Supreme Auto Transport LLC v. ArcelorMittal, March 3, 2017, Shah, M.). Supreme Auto Transport LLC, a Michigan company, filed suit in 2008 against a group of the largest U.S. steel producers, alleging that Mittal Steel USA (the predecessor to defendant ArcelorMittal) orchestrated a conspiracy with other steel manufacturers to cut back steel production to raise the price of steel artificially. The plan allegedly worked, and a steel shortage ensured, which caused higher steel prices that were passed along to everyone along the chain of producing products containing steel, including the consumers who bought items such as refrigerators, dishwashers, cars, and construction equipment. In 2016, Supreme Auto amended its complaint to add 15 additional plaintiffs from 10 states, seeking to convert the case into a class action. The amended complaint asserted three claims: (1) violations of state antitrust laws, (2) violation of state consumer protection and unfair competition laws, and (3) unjust enrichment under common law. The steel manufacturers filed a motion to dismiss. Standing. To survive the motion to dismiss, the indirect steel purchasers were required to establish both Article III standing and a separate antitrust standing. They were successful in establishing Article III standing. They suffered an injury that could be traced to the alleged scheme, and their injuries could be redressed by a decision in their favor. 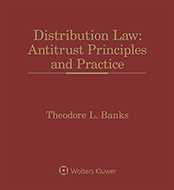 The indirect purchasers were unsuccessful, however, in establishing antitrust standing, which requires a separate analysis of whether the plaintiffs were the proper party to bring a private antitrust action. In Associated Gen. Contractors of California, Inc. v. California State Council of Carpenters, 459 U.S. 519, 536-45 (1983) (AGC), the U.S. Supreme Court developed a multi-factor "direct injury" test to determine if the link between the antitrust conduct and the injury is sufficient. The federal court in this case first addressed a question that the Supreme Court left open in the AGC case—whether those direct injury factors applied to antitrust standing when a plaintiff filed state antitrust claims in federal court—by ruling that the AGC factors did apply in each of the states involved in this case. 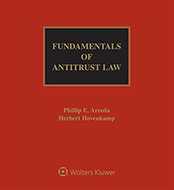 In ruling that the indirect purchasers lacked antitrust standing, the court relied on three AGC factors: (1) the causal connection between the violation and the harm, (2) the directness of the injury, and (3) the speculative nature of the damages. The complaint, for example, never acknowledged the "role of interceding parties" who distributed the raw steel or who manufactured and sold the consumer products to the indirect purchasers. In addition, the complaint never traced the steel in the products that the indirect purchasers sold to consumers to the manufacturers’ steel mills. Also, although the complaint alleged that the manufacturers had an improper motive (they knew that their actions would affect indirect purchasers), the court found implausible that their motives would have included higher prices on downstream products because the manufacturers would not have profited from those higher prices. And, finally, the damages, which may be generally pleaded, were still far too speculative given that the indirect purchasers would never be able to measure the effect on the retail price of each component part of a finished product and, thus, would not be able to determine with any accuracy the role that the steel parts played in any price increase. As a result, the state antitrust claims were dismissed because the indirect purchasers lacked antitrust standing. Other state law claims. Turning to the other claims for consumer fraud and unjust enrichment, the court ruled that the indirect purchasers failed to establish proximate cause, largely for the same reasons that they were unable to establish antitrust standing: the presence of intermediary parties, the commingling of steel with other materials, and the absence of any link between the steel mills and the finished products. As a result, those state law claims were also dismissed. Procedural issues. The court then dealt with two issues related to whether the indirect purchasers would be allowed to amend their complaint again. The first was whether the filing of the original complaint had tolled the two- to six-year statutes of limitation. The court ruled that the statutes had lapsed and were not tolled because the claims made in the amended complaint were different from those made eight years before in the original complaint. The fact bases were different, the manufacturers’ witnesses and document production would be different, and tolling would unduly prejudice the manufacturers. The other issue involved whether the amended pleading related back to the original pleading. For the same reasons, the court concluded that they did not, and it granted the motion to dismiss all claims. The case is No. 08 CV 5468. Attorneys: Merrick Scott Rayle (Lovell Stewart Halebian Jacobson LLP) and Andrew Szot (Miller Law LLC) for Supreme Auto Transport LLC. Andrew Stanley Marovitz (Mayer Brown LLP) for Arcelor Mittal USA, Inc. Jonathan Stuart Quinn (Neal, Gerber & Eisenberg) for United States Steel Corp.
Companies: Supreme Auto Transport LLC; Arcelor Mittal USA, Inc.; United States Steel Corp.